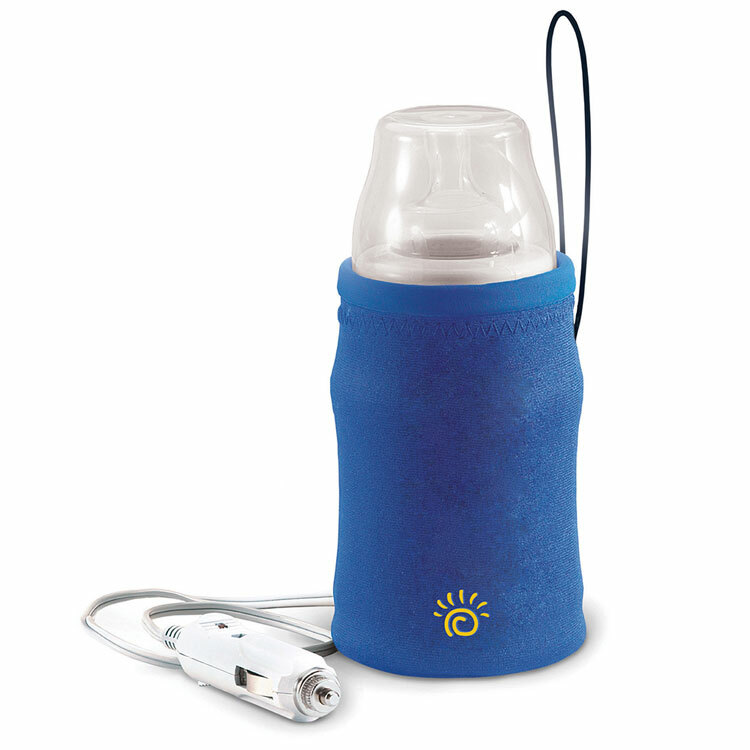 The Sunshine Kids Warm n Go travel bottle warmer is made with stretch neoprene and a unique heating element design, our insulated travel bottle warmer stretches and contours to fit any shape bottle – even tapered ones, to warm quickly and evenly. Convenient design fits cup holders and hangs from the dashboard. Features include a power indicator light and a thermal fuse to prevent overheating. Plug it into vehicle lighter.